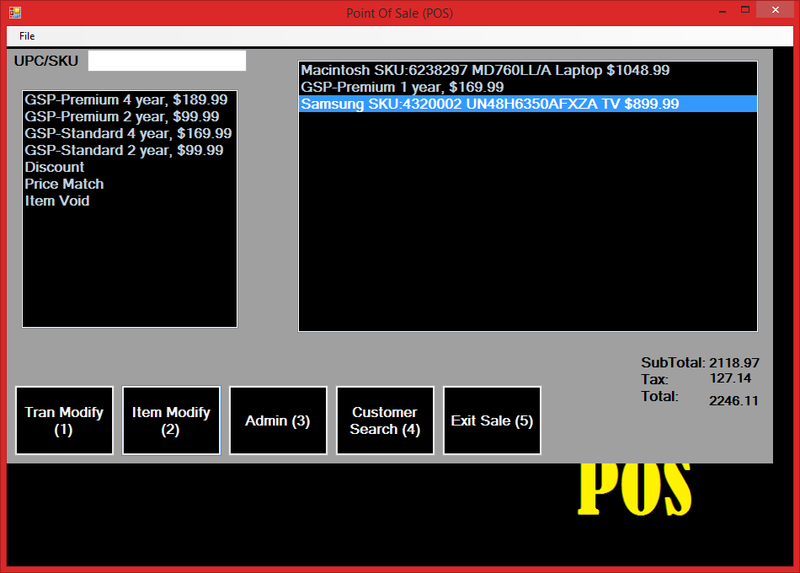 This page is currently under construction, Please follow the link following links to the previous portfollio software page. 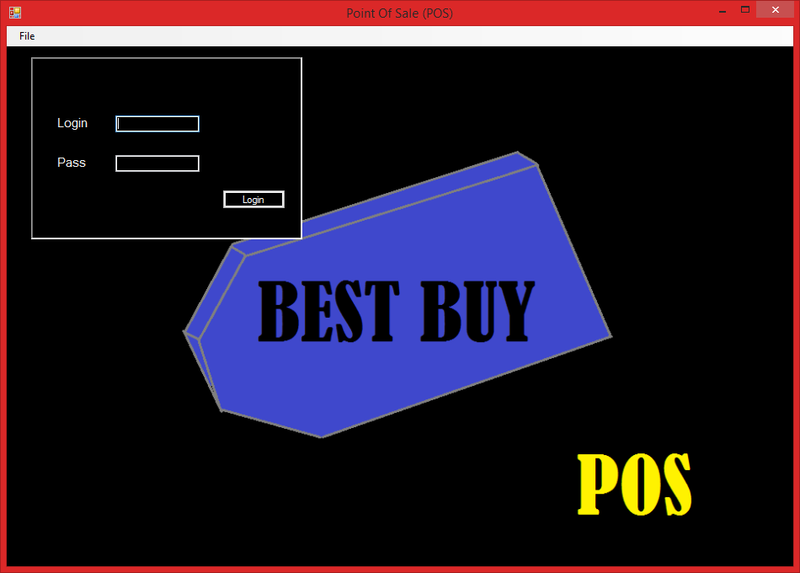 On completion, this page will also house programs written in C# and C.
A rebuild of the Best Buy POS(Point Of Sale)/OMS(Order Management System). This is a personal project only and does not truly reflect the real Best buy system in place. The basic into drawing graphics with Java and NetBeans IDE, Just press down with your mouse and draw a circle. Each cicrle will have a different color. You can also change the size with the "up" and "down" arrows. First It asks you for a URL, then on one tab it displays the page you entered, the other tab has all of the HTML code that is editable. 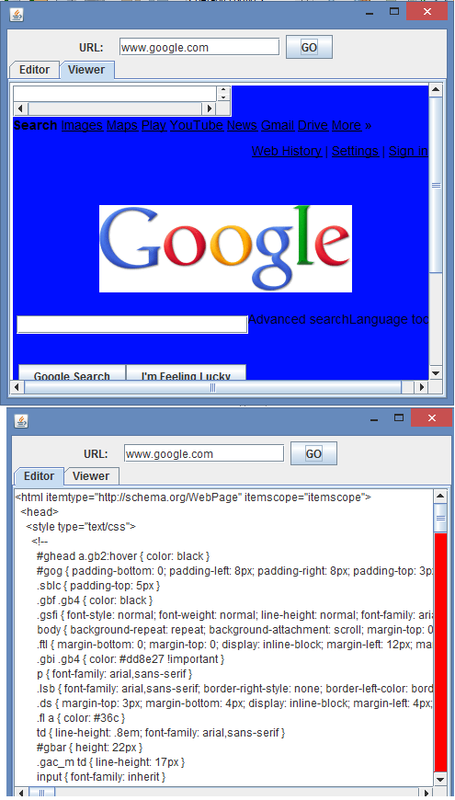 You can play with the code to make your own version of the website. IT DOES NOT CHANGE THE REAL SITE. Only the site inside the program. It takes the basic priniples of Exceptions in the Java Programming language and does the exception handling with the persons age. 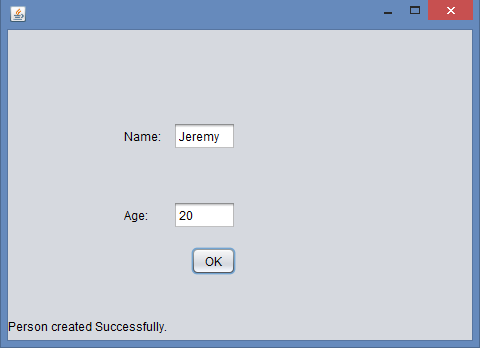 If the persons age is not in a desired range it will output a localized pop up message telling you the information is invalid. This is like basic input validation in C++. 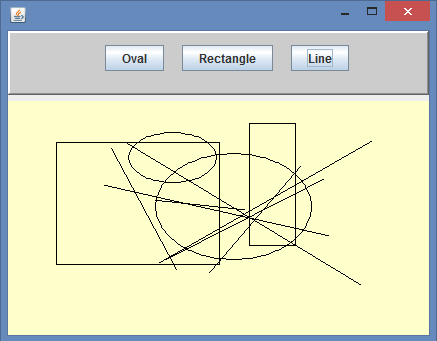 You can now draw 3 basic shapes ( Oval, Rectangle and line). If youra really good artist you can also draw a circle and a square. Pick a vehicle or shape and draw to your hearts content. 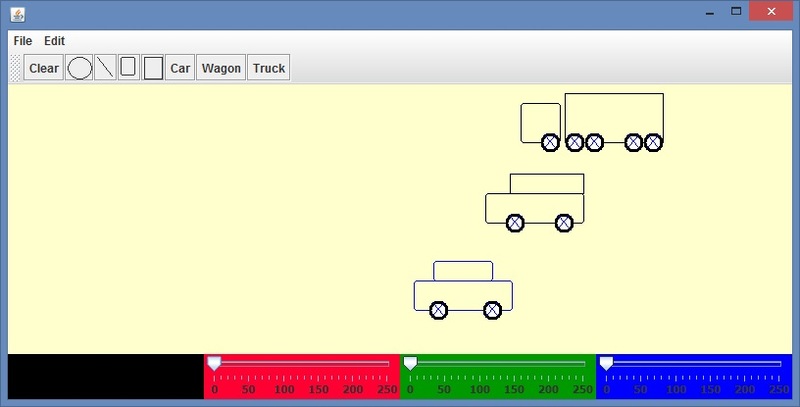 Pick a vehicle and press the mouse on the drawing board and watch the vehicle drive right off the page, wheels going full rotations and car movement all the way from where you press to off the other side of the page. The car even comes with fully loaded Police Lights. You can now draw 4 different shpaes. You can use 4 tools: Pencil, Eraser, Brush and Text. You can change the outside rim to dashed or solid and you can choose to fill your shapes. The shapes default to a solid color fill, but you can select a gradient at the botttom to have a gradient fill. It comes with a fully working Load and Save function. It also has a transparency bar to change the shapes alpha value. You can use your mouse wheel to increase or decrease the thinckness of your tool/shape. Fully Programed Battle Ship Game. First it asks you to place your ships and outputs your board everytime you place a ship. Each ship is designated with a different letter usualy the letter it starts for except [C]ruiser 1 and [c]ruiser 2. Every turn It will ask for a row and column(letter, number) for your ship to shoot at. When you pick your spot it will automatically but randomly pick a position for your opponent also. 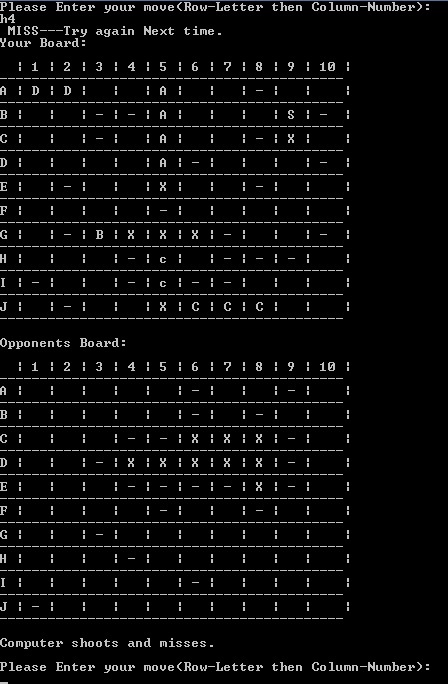 The "opponent" or computer player has a set of 5 different locations for each seperate ship so that each game will be entierly different and the opponents ships will never cross. At the start of the game when you assign your ships the computer generates a combination of its own ships locations. Each turn it will output 2 Boards: the top one is labeled "Your Board:" and has all the locations of your own ships, the lower board is your opponent's ships board. If you hit one of your opponent's ships it will place a "X" into the opponents 2-Dimensional Array and take one life away from that current ship. If you miss it will place a (-) in for every miss. The game is over when all of a players ships are destroyed. A simple game of Connect Four- where you dont have to do a thing. Pick either 0 or 1 and see which computer player wins. Whack a Mole meets Duck Duck Goose. 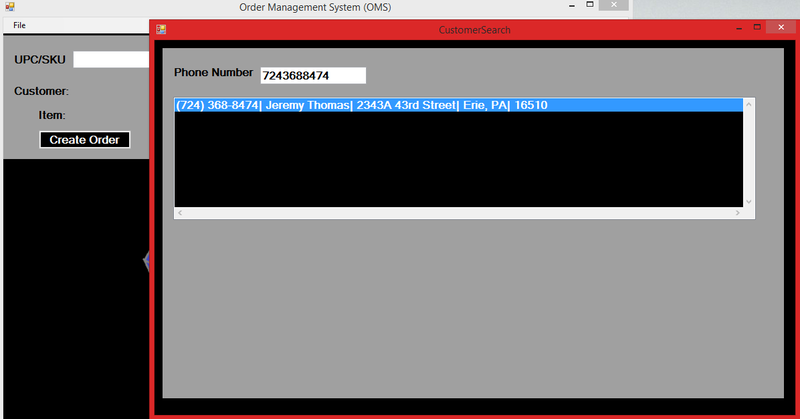 It takes in your local ZIP CODE and calculates a given algorithm to draw a barcode to the corresponding Zip Code. It takes in # of rooms and size of each tile, then it asks you for the room dimensions and calculates the amount of tiles per room. Then at the end it calculates how many boxes are needed and how many tiles will be extra. This story has been told many times before, sometimes with pennies other with rice on a checkerboard. So: start with one penny on the first day, double it the second day, double that the third day......So on and so forth until you get to your inputed day. It will show you how much you earned that day and also your total for all days. This country club has decided that it isint rich enough, so they have started to incease the price starting next year by a percentage. 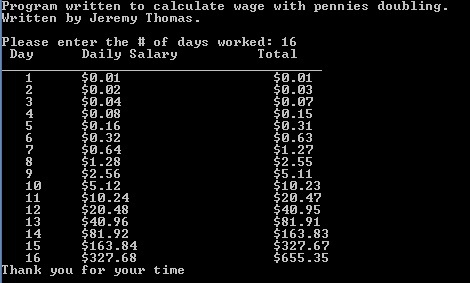 This program calculates and displays the amount per year. It takes in 4 values, a score from each judge. Then it drops the smallest score and then gives you the average for the remaining 3 scores. 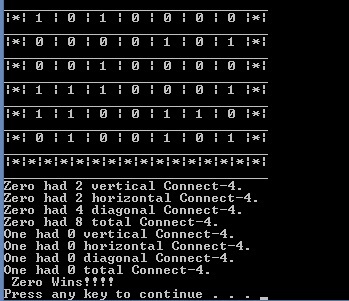 It also uses input verification to determine if the given values are above OR below 0-10. It takes in 2 values, the first is between 0-6 (monday-sunday) then another value day of the year(0-366, 366 is considering leapyear), and outputs the day of the week on that specific number of days into the year. It takes in Total Weight and the name of a planet (exclude Planet X and include Pluto) and outputs your weight on that so called planet. It takes in the amount of US Dollars and converts it using the current market values into 6 different currencies. It takes in TotalVoltage, ResistorOne value and ResistorTwo value, and determines the Current, Voltage Drop and Power. It takes in the factorial number wanted to be taken, and does the factorail using 2 different formulas to show you the difference. 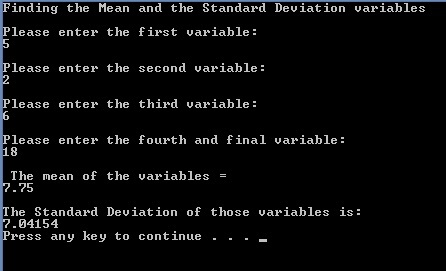 It Takes in 4 variables and then calculates the mean of those 4 variables and also their mean. This Programs takes in a single value(Bi-Weekly Income) and multiples it by # of bi-weeks (52/2=26 weeks).